Yalta is located on the south shore of the Crimean Peninsula (Crimea Republic), 79 km from Simferopol. There is a trolley-bus line between these cities. It is a sea port and highway hub. 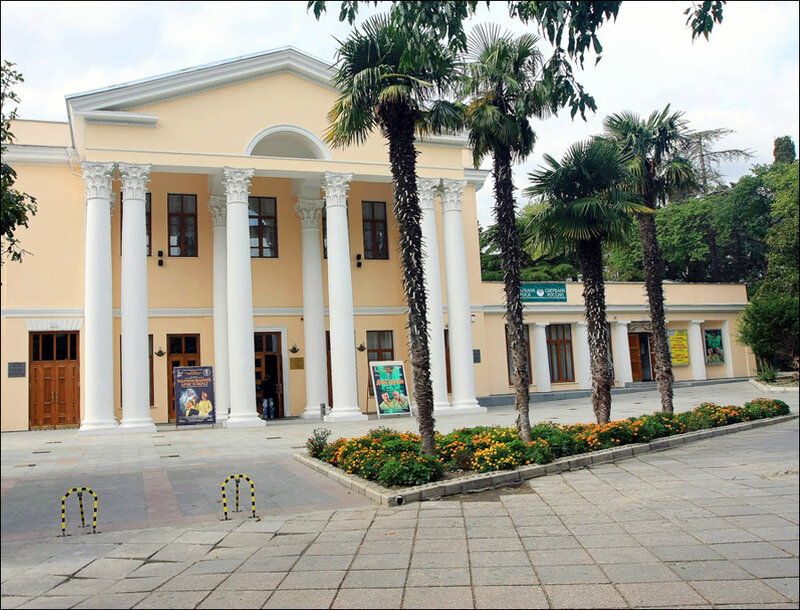 Local time in Yalta city is April 21, 9:41 pm (+2 UTC). 19 April, 2014 / Moonrise over Yalta - Ai-Petri Peak in Crimea. 14 March, 2014 / Hanging bridges on Ai-Petri Mount. 6 March, 2013 / Architectural monument Swallow's Nest and surroundings. 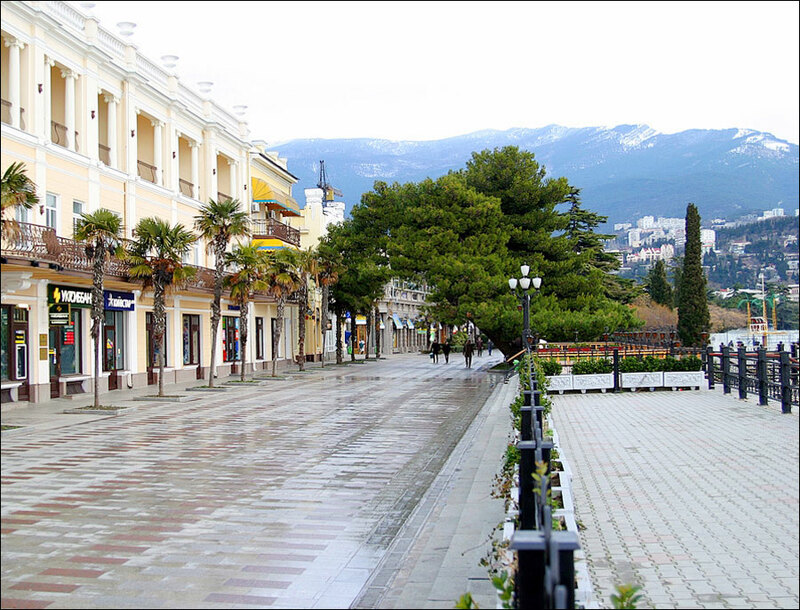 12 January, 2013 / Beautiful views of the winter Yalta. 6 January, 2013 / Ai-Petri - the most foggy and windy place in Ukraine. 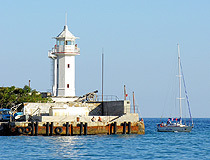 The current status of Yalta is disputed between Ukraine and Russia. De facto, it is controlled by Russia as the entire Crimea. 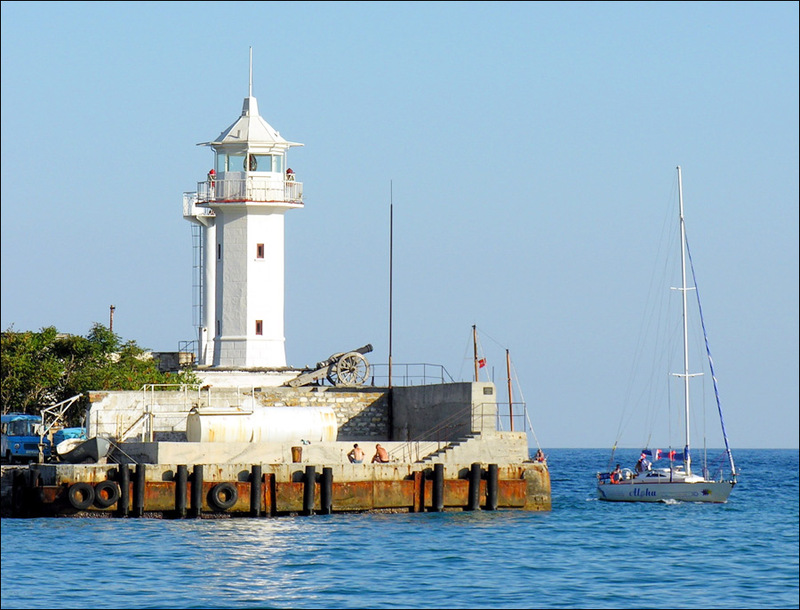 Yalta was founded by the Greeks approximately in the 1st century. The legend says that Greek sailors lost their way because of the storm. They searched the shore for a long time and, when finally they saw the shore (“yalos”), they decided to give the founded settlement this name. 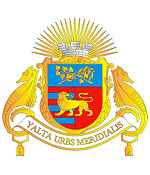 In antique times, the settlement was the part of the Roman Empire, in the Middle Ages - of the Byzantine Empire, Feodoro principality and Genoa colonies. It was known as Yalita and Jalita. 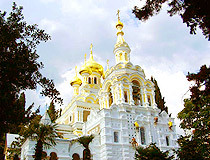 From 1475 to 1774, the south shore of Crimea was the part of the Ottoman state. 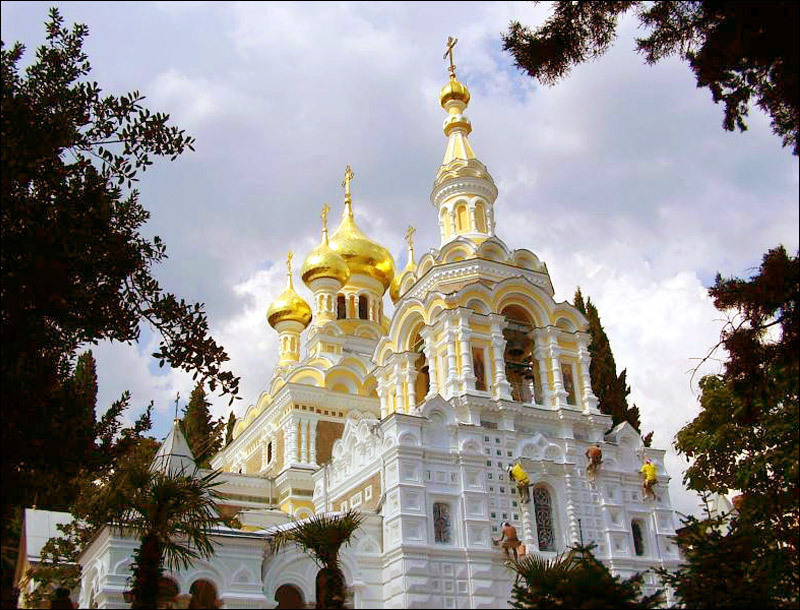 In 1778, the Christian population of Crimea was removed to Azov area according to the Russian government order. 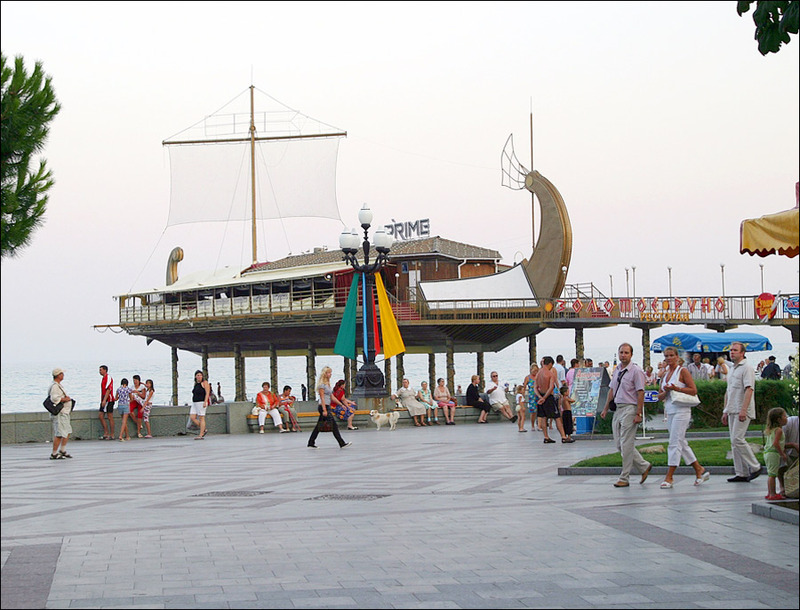 Crimea became the part of the Russian Empire which caused Crimean Tatars’ massive migration. 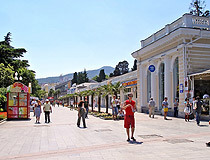 Yalta was almost uninhabited. By the end of the 18th century, it was a small fishermen village. In the mid 19th century, the town gradually turned into a popular resort and rapidly grew. 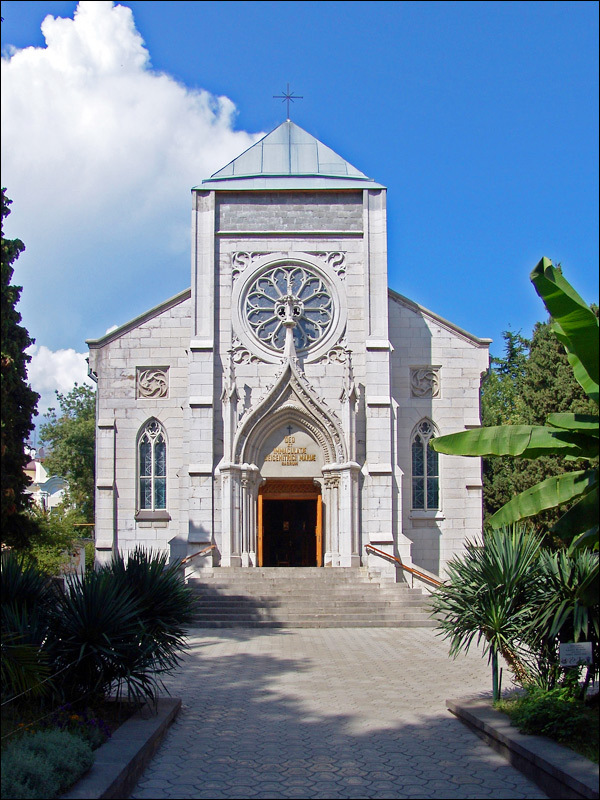 It started developing as a health resort in the 1860s. 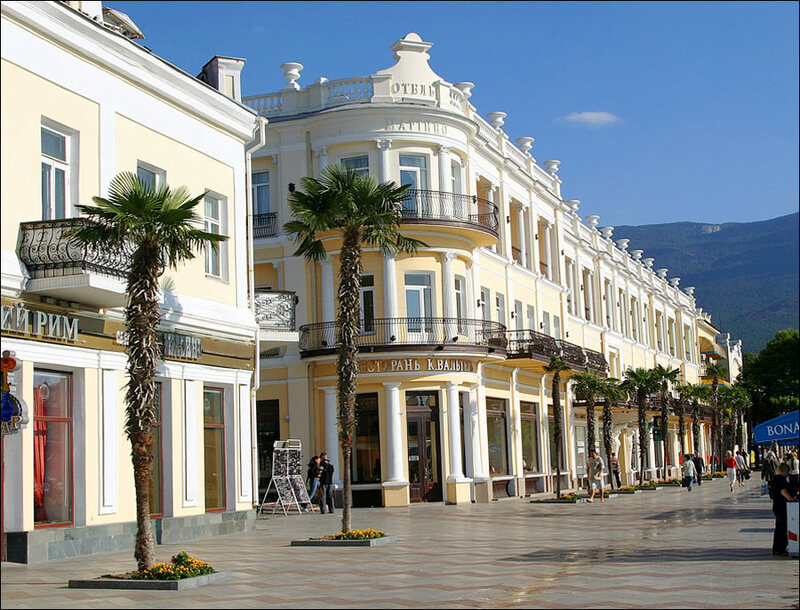 Favorable climate with mild winters and its scenic location between the sea and the mountain made Yalta a popular resort. There were a lot of hotels and sanatoriums in the town. 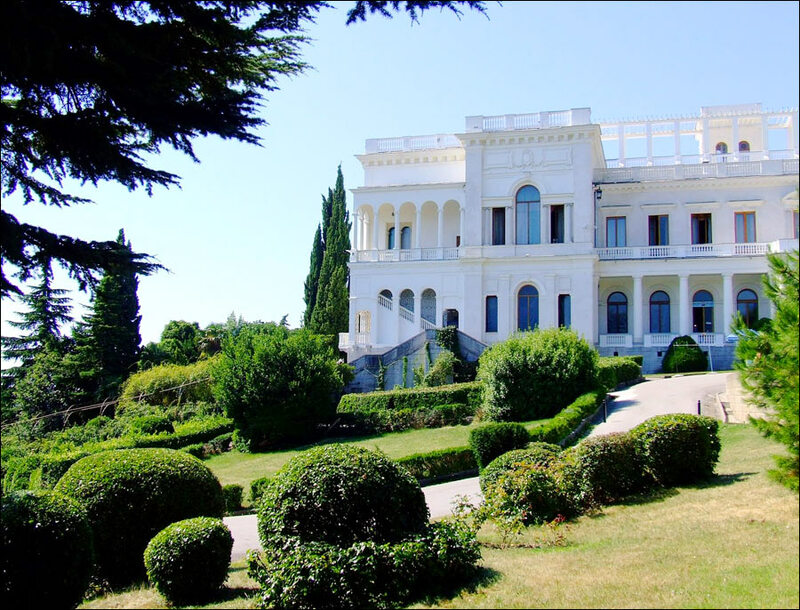 By the early 20th century, a lot of representatives of the Russian elite, including some members of the emperor’s family and monarchs themselves had dachas and palaces in Yalta or near it. 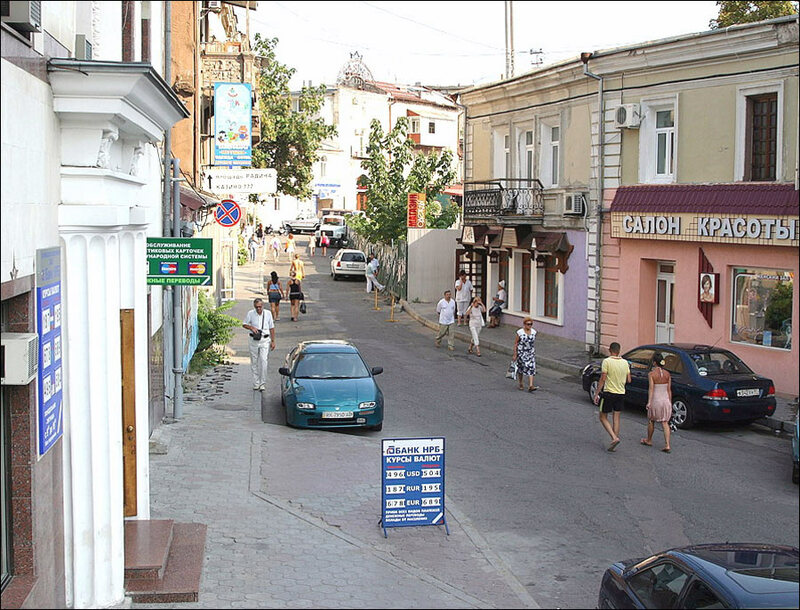 During the World War II, the city suffered German occupation and deportation of the Crimean Tatars in 1944. 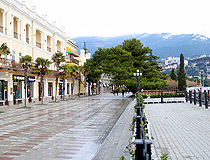 From February 4 to 11, 1945, Yalta conference took place in the city. In February 1945, the three chief Allied leaders met during the conference in Livadiya Palace to plan the final defeat and occupation of Nazi Germany. 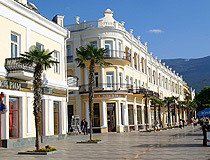 After the war, Yalta grew and developed as the resort. 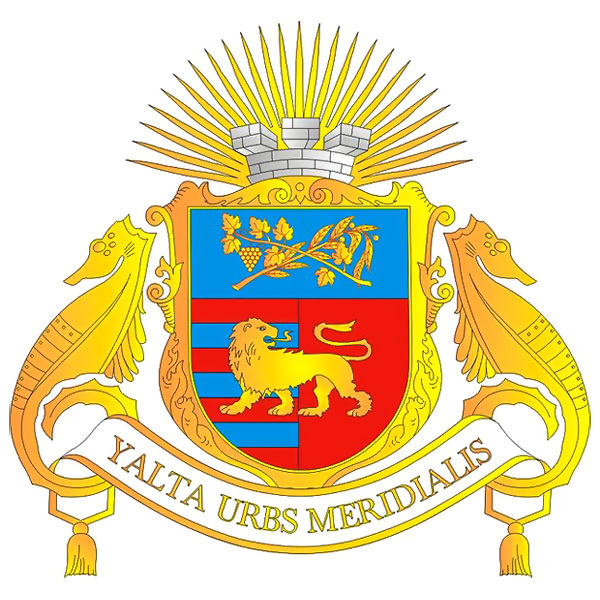 In 1961, the trolley-bus line connected it with Simferopol. 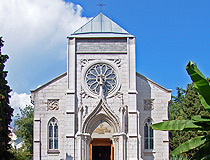 The city has wine-making, fruit-canning and tobacco-processing industries. 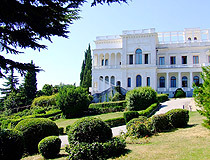 Yalta is characterized by an abundance of greenery. The old town looks like a large park with some houses. 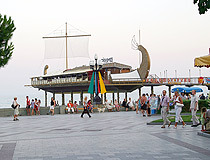 It is the capital of the Crimean resorts. 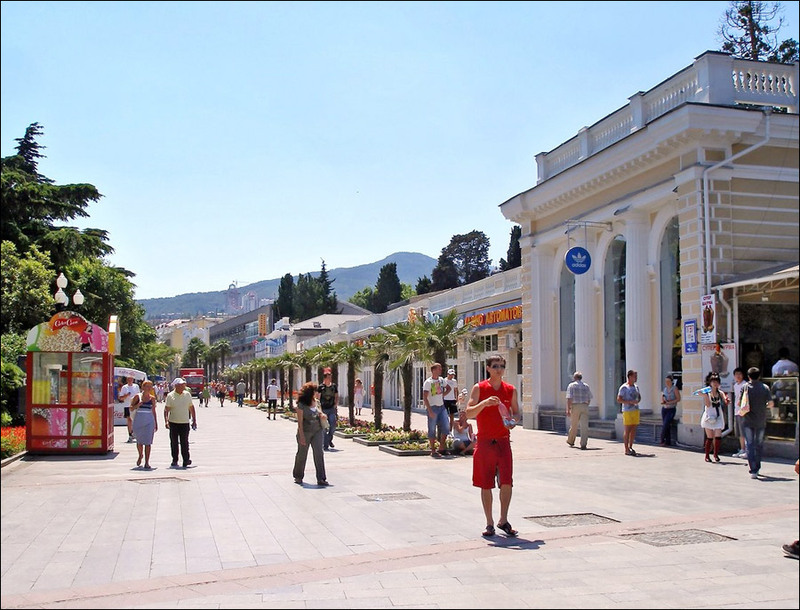 It is the center of the large territory of the south Crimea shore known as Bolshaya (“big”) Yalta, which stretches for over 70 km. The climate is of sub-tropical type. It is characterized by mild and rainy winters, cool springs, hot and long summers and long and warm autumns. The average temperature in July is 24 degrees Celsius above zero, the average temperature in January - 4 degrees C above zero. Local reserves and parks are important curing climatic factors. 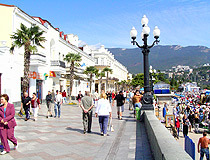 The beaches of Bolshaya Yalta stretch for 59 km. 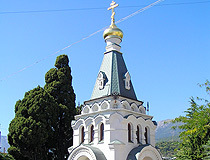 Yalta itself is interesting due to its unique combination of architectural monuments surrounded by mountainous landscape. There are a lot of beautiful (although, not all of them are in good condition) buildings constructed in the late 19th - early 20th centuries. 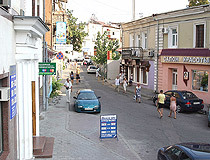 Nowadays, a lot of old dachas and estates are inhabited by locals. Also, they are used as sanatoriums. Fortunately, most of them preserved their unique design. 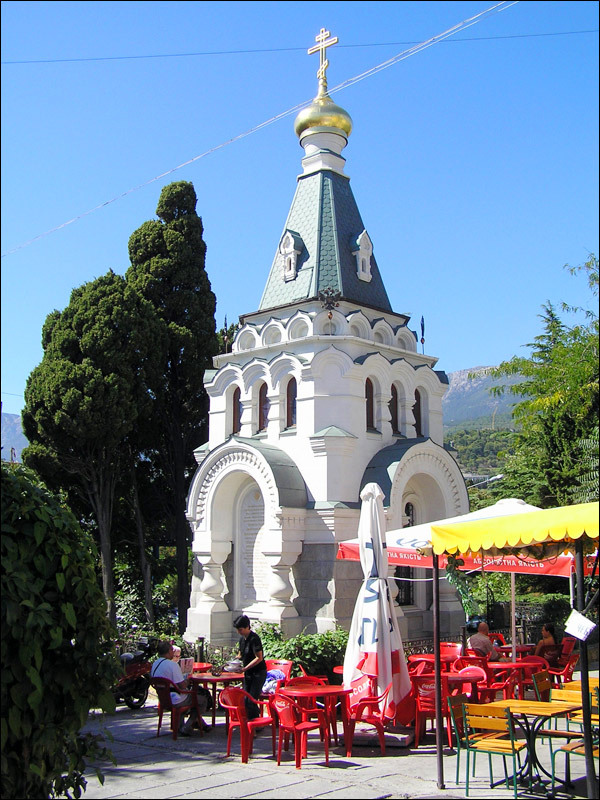 In Yalta, there is a wonderful Massandra park (near “Yalta” hotel). 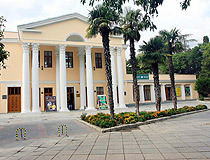 Lesya Ukrainka’s house-museum (Katerininska Street, 8).